Whenever I usually get out of the pool my hair is a mess. I can barely touch it without my it getting tangled and it feeling like straw. I usually just rinse after swimming and deal with it at home later on. So when I got the chance to try out Swim Spray I was dying to see if it could help. The purpose of Swim Spray is to neutralise chlorine that is used in pools to prevent bacteria. Chlorine is bad for hair as it damaged the cuticle by stripping it of natural oils causing it to crack. This then leaves the inner layer or cortex exposed and prone to splitting. This can cause split ends and leave the hair dry and brittle. The bottle advises 20-30 sprays and advises to spray the product onto the hair and then follow with your usual shampoo and conditioner. When I sprayed it in my hair at first I wasn't quite sure it had done much but after about a minute of it being in my hair I could feel a huge difference. When I went to detangle my hair I was shocked to feel my comb easily running through my hair. It felt soft and not dried out at all. In fact it felt very healthy and was very easy to deal with. My hair also did not smell of chlorine after applying either. 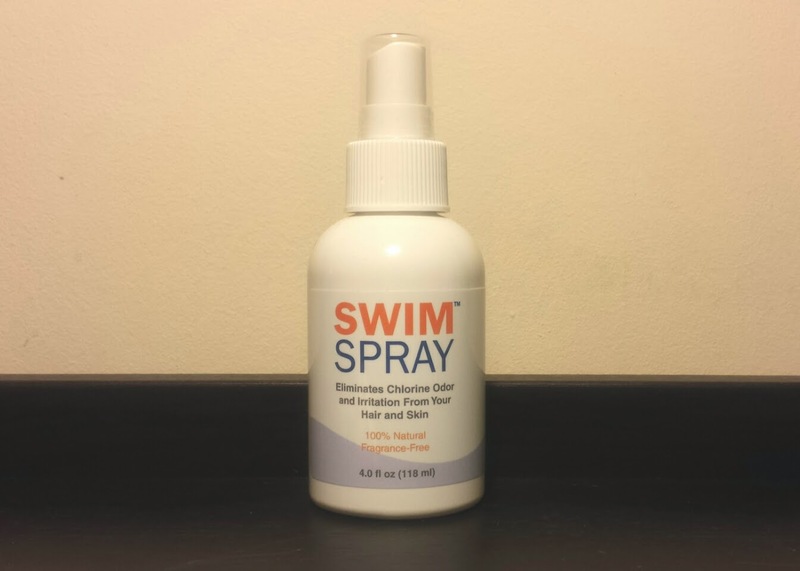 Swim Spray is odourless so it doesn't just masking the smell it does remove it. It also comes in a handy spray bottle making it really easy to use and it is a really nice size to carry around so doesn't add weight to a gym bag. I went home with the intention of then washing my hair as I normally would and style as usual for work the next morning. I ended up getting distracted and before I knew it is was midnight. But because my hair felt so good I thought I would try and see what would happen if I didn't wash it. I woke up the next morning and I was in disbelief that it had ever come in contact with chlorine! It feels great, there is no chlorine smell and I could easily go swimming and continue with my day as it never happened! It's perfect product for me, does exactly what it says on the bottle! I know I really love a product when I start desperately trying to work out when I might run out! For more tips to protect hair whilst swimming you can also check out this post on Swimming & Hair Care! Do you have any products or tricks for removing chlorine?